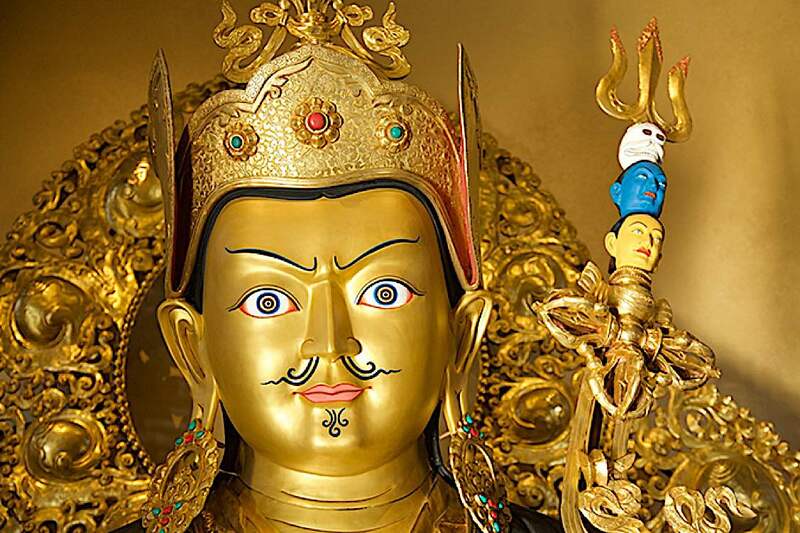 Guru Rinpoche answers Lady Tsogyal: Should we practice one or many yidams? Is the master or the Yidam more important? Why is it important to practice the yidam deity? Which is more important, the master or the yidam deity? Why is it important to practice the yidam deity? 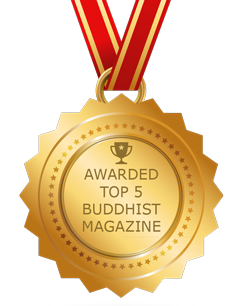 When practicing a yidam deity, how should we meditate and practice in order to attain accomplishment? How should we approach the sugata yidam deity? Which yidam deity is better to practice, a peaceful or a wrathful one? If we practice one yidam deity, will that be the same as practicing all the sugatas? Is there any fault in practicing one yidam deity and then practicing another? Through performing the approach to one Tathagata, will we accomplish the mind of all sugatas? 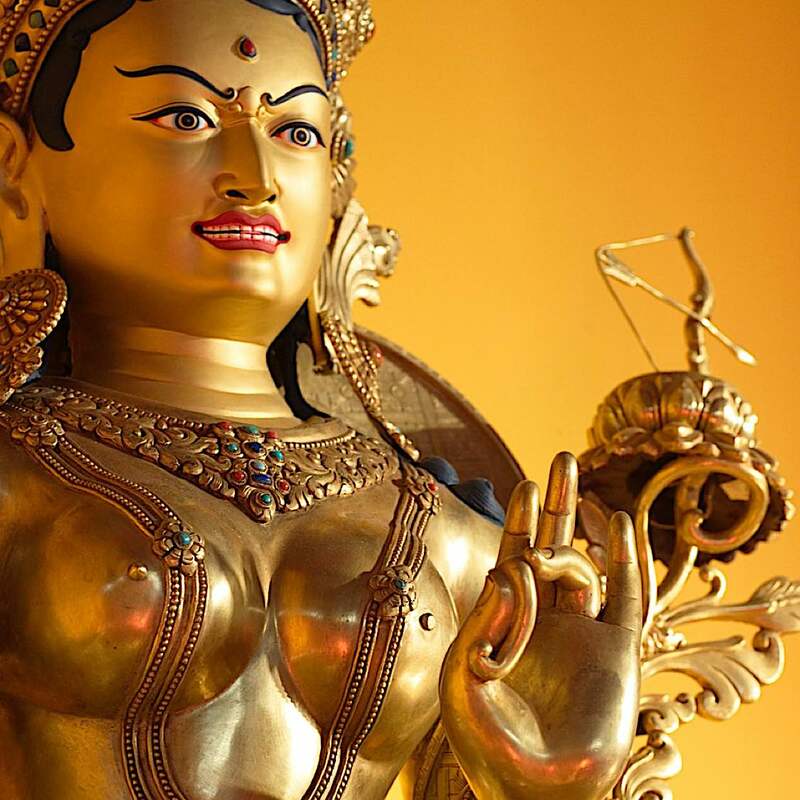 Guru Rinpoche’s teachings to the Lady Tsogyal are as clear and wonderful today as they were centuries ago. Reading the recorded words of the Lotus Born Padmasambhava is almost like sitting at the feet of the great Guru Buddha. 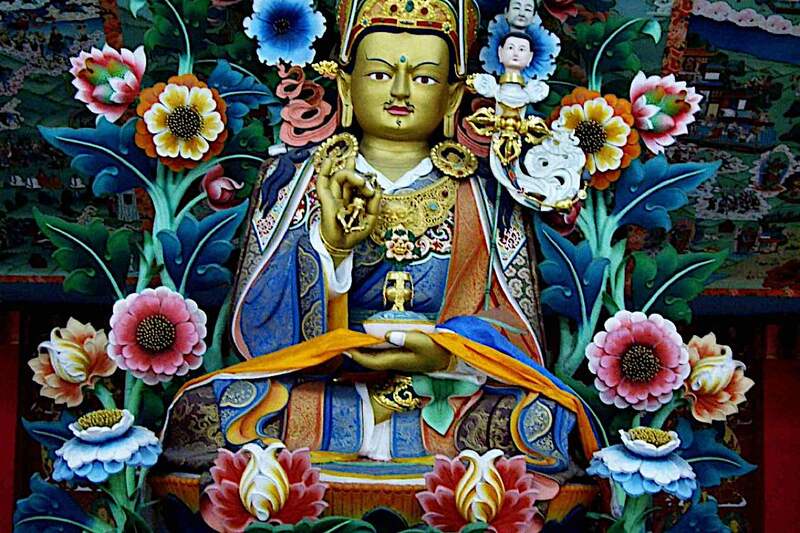 Guru Rinpoche, the Lotus Born, came to Tibet in the 8th Century to establish Dharma. 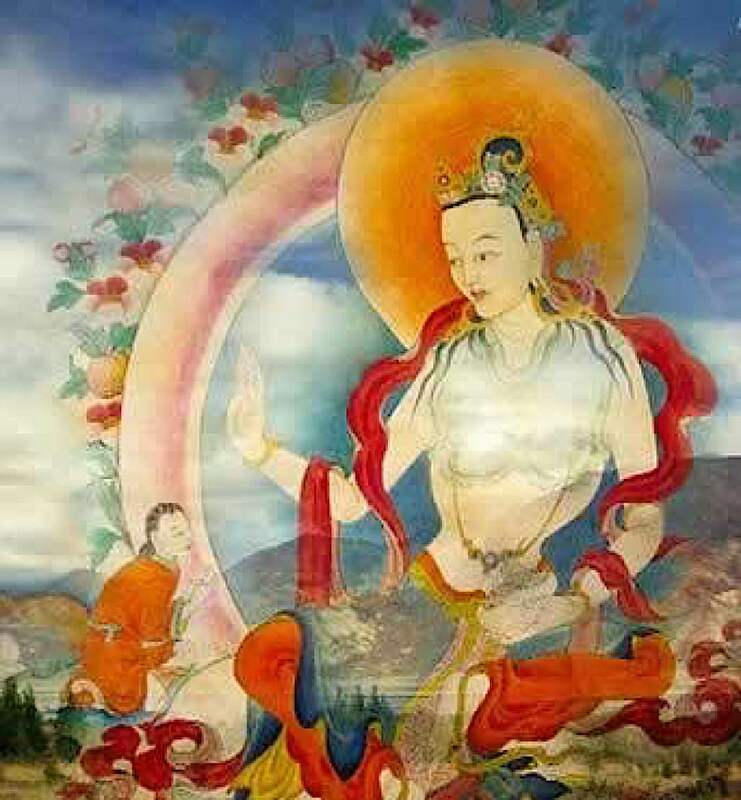 Lady Yeshe Tsogyal was consort and student to the great Lotus Born Padmasmbhava. She recorded his teachings. The Lotus Born, Padmasambhava — as teacher — and the Dakini Yeshe Tosgyal — here, as student — share timeless wisdoms that remain clear and “modern”, absent of the arcane. One reason Vajrayana is known as the “lightening path” (a literal translation of Vajra Yana) is this special teaching guru-student relationship that is participatory and practice-oriented. By engaging in daily, concise, clear, meaningful — and guided — practice, our progress towards Enlightenment should be exponentially faster — when compared to a student who self-learns through quiet meditation alone. 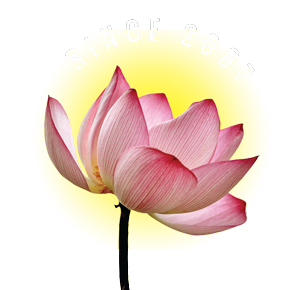 The sessions between Master Padma, the Lotus Born, and Yeshe Tosgyal, here excerpted from Dakini Teachings , show this intimate and fruitful relationship at its best. The master replied: Do not regard the master and the yidam as different, because it is the master who introduces the yidam deity to you. By always generating the master at the crown of your head you will be blessed and your obstacles will be cleared away. If you regard the master and yidam as being different in quality or importance you are holding misconceptions. The master replied: It is essential to practice a yidam deity because through that you will attain siddhis, your obstacles will be removed, you will obtain powers, receive blessings, and give rise to realization. Since all these qualities result from practicing the yidam deity, then without the yidam deity you will just be an ordinary person. By practicing the yidam deity you attain the siddhis, so the yidam deity is essential. The master replied: Since means and knowledge are to practice the spontaneously present body, speech, and mind through the method of yoga sadhana, they will be accomplished no matter how you carry out the sadhana aspects endowed with body, speech, and mind. They will be accomplished when the sadhana and recitation are practiced in a sufficient amount. The master replied: Realize that you and the yidam deity are not two and that there is no yidam deity apart from yourself. You approach the yidam deity when you realize that your nature is the state of nonarising dharmakaya. The master replied: Since means and knowledge are practicing the spontaneously present body, speech, and mind through the method of yoga sadhana, all the countless sugatas, peaceful and wrathful, chief figures and retinues, manifest in accordance with those to be tamed in whichever way is necessary — as peaceful and wrathful, chief figures and retinues. But as they are all of one taste in the state of dharmakaya, each person can practice whichever yidam he feels inclined toward. Guru Rinpoche, the Lotus Born enlightened Buddha, came to Tibet to bring the Dharma in the 8th century. The master replied: The body, speech, and mind of all deities are manifested by the three kayas in accordance with the perception of those to be tamed. In fact, no matter how they appear, if you practice one you will be practising them all. If you accomplish one you will have accomplished them all. The master replied: Although the sugatas manifest as various kinds of families and forms, out of skillful means to tame beings, they are in actuality inseparable, the state of equality. If you were to practice all the Buddhas with this realization of their inseparability, your merit would be most eminent. But if you were to do so while regarding the yidam deities as having different qualities which should be either accepted or rejected, you would be immeasurably obscured. It is inappropraite to regard the yidams as good or bad, and to accept or reject them. If you do not regard them like that, it will be excellent no matter how many you practice. 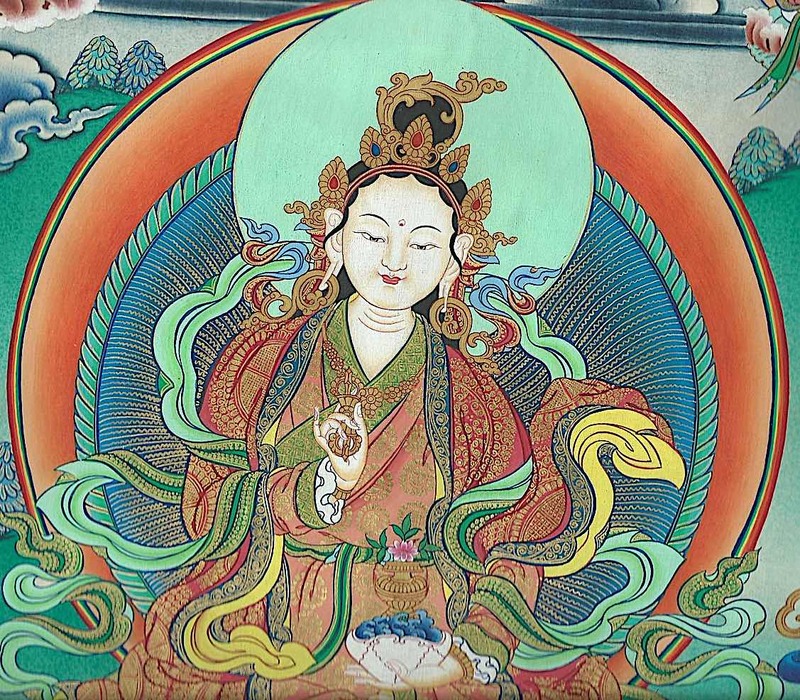 Lady Yeshe Tsogyal recorded the teachings of Master Padma. The master replied: By practicing with a vast view and remaining in the innate nature, you will attain stability in a yidam deity. When you complete the recitation, you will accomplish the activities of all the victorious ones without exception by simply commencing them. Excerpt from Padmasambhava Guru Rinpoche. Dakini Teachings (p. 104). Rangjung Yeshe Publications. Kindle Edition. Prominent Scientists Declare “All Non Human Animals… Are Conscious Beings.” The Dalai Lama Protests Chicken Slaughter. 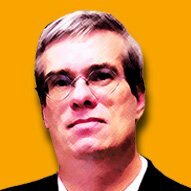 An Orangutan Won Non-Human Rights Over Zoo Keeper. What Do the Teachers Say About Non-Human Compassion?